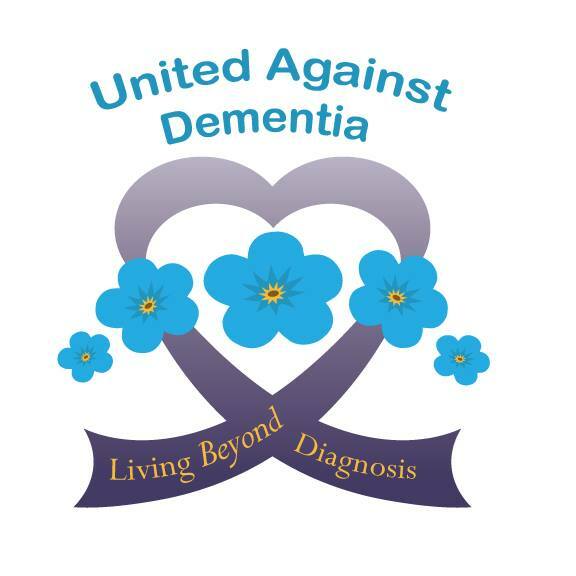 I was diagnosed with dementia, probably Alzheimer’s, in 2004 and joined Facebook in 2009 to raise dementia awareness. What in the world was I doing those years in between? I was angry at the world and not much fun to be around. I thought I was given a death sentence and played that card for 5 long years. I lived in the biggest pity party until I was forced to face my disease. I didn’t want to die but I was allowing myself to do just that. No medication or miracle was going to help me but a path was laid out to me to get back my self respect. I found my inner strength and realized I was stronger then I thought. Not strong enough to beat Alzheimer’s but strong enough to live with it. I walk through Hell those years and fought my way back to this new life I am living today with Alzheimer’s. I paid my dues and learn my lessons well with the understanding that I owed it to others to help them find that path I am walking on. 2009 I started out on that path and continue to walk it today. I am in a constant process of learning about dementia and passing on my lesson to others. I know the day will come when I am unable to walk out of the darkness but I am prepared. In my heart I know I am walking toward a better life. Am I getting just like my friends who are living with dementia? The tell tail signs are becoming more noticeable and I know what is happening. I’m ok with that because I realize “It Is What It Is”. This is not the time to give in to my dementia but make a greater effort into living with it. The window is closing and there is so much more I want to accomplish before it closes. My drive is not as spectacular as it once was but I know I can and I will. This is the time of year when I always consider whether to hang up my shingle or polish it for another year. I never seriously consider giving up because I still have a long way to go and many more to help. It is amazing the impact we are making when we speak out about our disease. Along with our diagnoses came the obligation to help others get through what we did. Time will tell if we made a difference or not. Tonight at our Memory Cafe at the Lancaster Heath Campus I was given the best gift I could have ever received. After our meeting a gentleman came up to me and wanted to talk to me. He told me for the last year or so he was so angry at his dementia diagnosis and took his anger out on everyone around him. He came to several of our Memory Cafes and heard Mary Howard and myself speak at one of our LGH Health Campus Mentor sessions and told me that his life was changed. He looked at me and listened to what I was saying and decided that if I could do it, so can he. He faced his fears and got rid of his anger and started to enjoy life again.. No he is not cured but he is learning to live with his disease and enjoy the time he has left. I was given the most wonderful gift when I saw the smile on his face, Life is good. My soul is processed with love and caring. I turn into a different person when I am presenting my ideas on dementia awareness. I look at this person and wonder who is talking with such passion. This is not the person I shared a body with for 69 years. I am in awe with what is coming out of my mouth and how I am able to share my love of life with others. When I am speaking, I am no longer in control and let whatever is driving me take over. Alzheimer’s has taught me well and what needs to be changed. I can not take credit for the work I do because this unseen force is doing all the work within my body. Dementia does turn you into a different person and each of us is different. It is up to you to determine what the lessons it is teaching you and what it means. You can sit around during your end stages but until then find some love or passion that makes living worthwhile to you.